In Tuscaloosa, Alabama, beauty is as beauty does, with axes and knives and killer smiles. Sarina Summers and her mother will stop at nothing to have it all. Nicole Hicks harbors a fierce obsession with Sarina, which repeatedly undermines Mrs. Hicks's ambitious goals. Bitty Jack Carlson, a nice girl from the wrong side of the tracks, is caught in the crossfire but struggles to succeed outside the confines of this outrageous yet eerily familiar Southern community. It's survival of the fittest. Which girl will come out on top? Covering everything from summer camp to the University of Alabama's Homecoming game, this fast-paced and unforgettable novel will keep readers guessing until the bitter end. 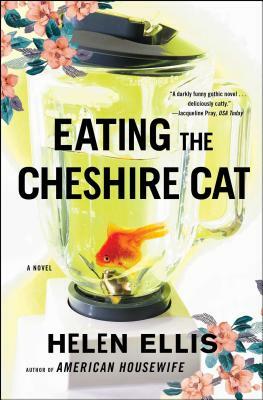 Helen Ellis is the acclaimed author of Eating the Cheshire Cat and American Housewife. She is a poker player who competes on the national tournament circuit. Raised in Alabama, she lives with her husband in New York City. Jacqueline Pray USA Today A darkly funny gothic novel...deliciously catty. Mark Rozzo Los Angeles Times This breezy tale about old-fashioned back-stabbing in the New South is meant to be gobbled up....Ellis entertains as easily as whistling "Dixie." Don O'Briant Atlanta Journal-Constitution This...comic novel gleefully takes on Southern stereotypes, teenage rituals...and even the hallowed relationship between mother and daughter. Cathi Hanauer Mademoiselle A wicked look at the wacked world of Southern social climbing...hilarious.